Author's note: Since the Bold 9900 is practically identical to the 9930, many portions of this text have been copied from Phone Scoop's review of the 9930. Rest assured, however, we put the 9900 through all the same tests that we did the 9930. 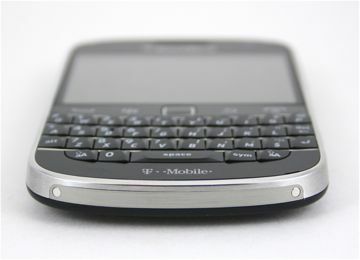 T-Mobile introduces its first "4G" BlackBerry, the Bold 9900. While the hardware and software is the same as the Verizon-branded 9930, the 9900 has a few notable differences. With its great keyboard, touch screen, and BlackBerry 7 operating system, the seeker of a 4G smartphone has something to be excited about. got a chance to play with these devices and I can say that BBerry is back! They still have a way to go but they are by no stretch out of the game. The Apptitude is amazing. It loads in less than 60 seconds. Twice as fast as previous models. 27k apps w/ 150 added each day. Props! The hardware looks great and the software looks pretty decent too. I think I'll patiently wait for a QNX phone. Looks appealing...but...I wish Verizon had the 9810 slider.